Beltane Tarot Reading - Limited Edition Reading! Book Yours Before It's Gone! It's getting hot in here ;) Are You Ready? The roaring Beltane Fires are off in the Distance and the magick of Beltane is close at hand. Flowers are blooming, the Earth is turning green, and the temperatures are getting ready to soar. Beltane is a beautiful holiday full of love, fertility, prosperity, regeneration, safety and security. 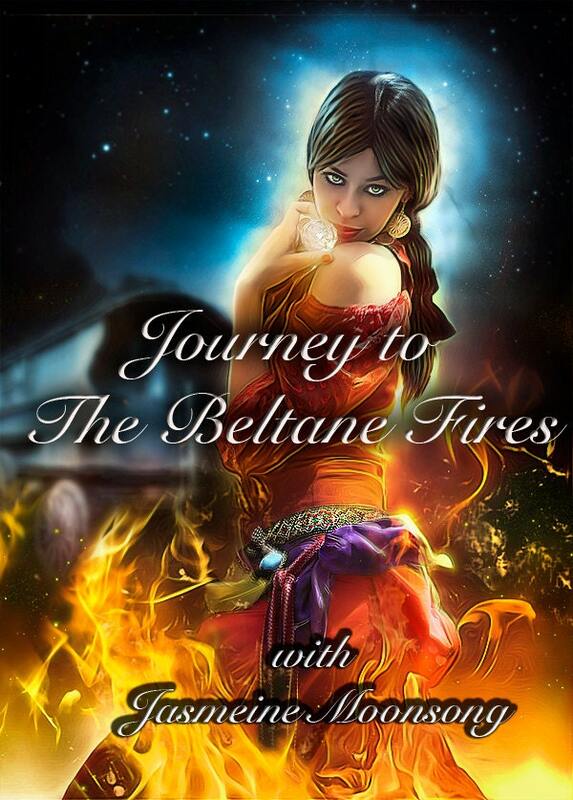 Set the stage for this Beltane by finding out what ignites your Beltane Fires and what the energy of Beltane is delivering your way. Your Beltane Cottage - We will begin at your Beltane Cottage. What do you need to help make you feel safe and emotionally secure. Work with the energy of this card to produce safe energy and secure your personal Beltane Cottage. Earth’s Abundance - Where is the abundance in your life currently and what should you embrace at this time. May Flowers - What will help you to grow and flourish at this time? The Beltane Fire - Love is an important element at Beltane. Where is the love in your life going right now? This card can represent all forms of love, from friendship to sexual passion. Please indicate if you are currently in a relationship or not. Love and Fertility - What can you do to improve love that's in your life. Loving Relationships - Part of being happy and satisfied in love is having a relationship that makes you happy. What do you want in a relationship that is important to you. Fertility - A huge aspect of Beltane is fertility. Find out what fertility is coming your way so that you can work with it and manifest what you wish in abundance. The Crystal Ball - Take a look into the Beltane Crystal Ball and see where you future is going. What Do Your Guides Want You To Know? - What advice do your guides have for you this Beltane. Consulting the Oracle - One card drawn from the Oracles to help you on your path. Consulting the Romance Angels - What do the Romance Angels have to say about your love life. All readings are done via email. You will receive a PDF document via e-mail with the cards as I drew them and a detailed explanation of each card. I do these readings by hand after meditation on a first come first serve basis. I am going to try to have them all back to you before Beltane, but I complete them in the order I've received them. If there is anything specific you want me to look at please make a note at payment or email me with your request at WiccanMoonsong [!at] gmail.com Thank you! As always Miss Jasmeine amazes me!!! Jasmeine is so gifted. My reading was spot on! Will definitely purchase another reading from her in the future.